Investment risk is minimized a substantial amount by properly following three key principles. 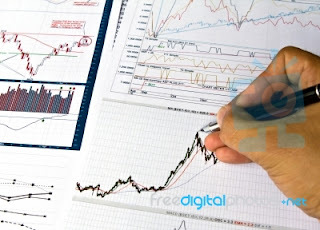 These include the use of risk avoidance techniques, understanding the situations in which investments are exposed to risk and knowing which financial tools have the best probability of capitalizing on reduced risk. A method of understanding investment risk is economic analysis. By understanding what impact specific economic conditions have, an investor can more effectively manage his or her risk. Economic analysis involves more than just major economic trends, but also being able to forecast those trends, and what asset classes and investment instruments would be most likely affected by that economic event. To illustrate economic analysis, the Conference Board, a business research association, measures global business cycles to assist in evaluating the economic impact of those business cycles. Markets are sub-components of an economy. Broad based economic indicators may span across individual markets and therefore do not help in understanding all aspects of investment risk. Knowing each market, what affects it financially and what its performance depends on are ways to understand investment risk in those markets. Risk management is an important aspect of individual portfolio planning and business strategy. The instructional video below further explains the process of risk management with an emphasis on business applications. Asset class investing is a technique to manage financial risk and follows the principle of the risk pyramid. In the risk pyramid, investments are divided by asset classes or categories by risk level; the apex includes asset classes with the highest risk, and the base consists of more stable investments. Asset class risk levels can help an investor better assess what level of risk a particular type of asset is. Even less risky investments within asset classes cannot protect against all types of risk however. For example, U.S. Treasury bonds, in the bond asset class, have relatively low socio-political risk, but are not all immune from interest rate risk. A number of investment methods exist that protect against investment risk. Diversification and dollar cost averaging are widely known and practiced techniques of protecting against risk, but these investment techniques are not the only ways available. For example, income investing, through investment in dividend paying stock protects against capital depreciation. Additionally, dividend reinvestment plans (DRIPS) reinvest stock dividends that add to the affect of income investing. In the case of an initial public offering (IPO), price risk can be protected against by purchasing shares before they become publicly traded. A financial instrument is a particular account, contract or financial arrangement that allows for and facilitate particular financial advantages, objectives and disadvantages irrespective of the asset class invested in. For example, a Roth IRA is a tax savings financial instrument designed to lower savings costs and prepare for retirement. Additionally, an Exchange Traded Fund or ETF, some might offer tax protection in the form of investment in tax free municipal bonds whereas others may invest in commodities. In both cases, the Roth IRA and the ETF are financial instruments that have the capacity to invest in multiple asset classes and thereby manage risk. Insurance is a risk management tool because it specifically serves as a hedge against risk realization that investments themselves can't protect against. To illustrate, insurance protects investments against liability claims from debtors or the need to use investments in adverse circumstances such as bankruptcy. In other words, investments made within an insurance product or financial instrument are afforded a certain amount of legal protection that can help reduce exposure to debtors. In the case of unemployment or disability insurance, a state provided protection indirectly helps reduce investment risk arising out of personal circumstances.